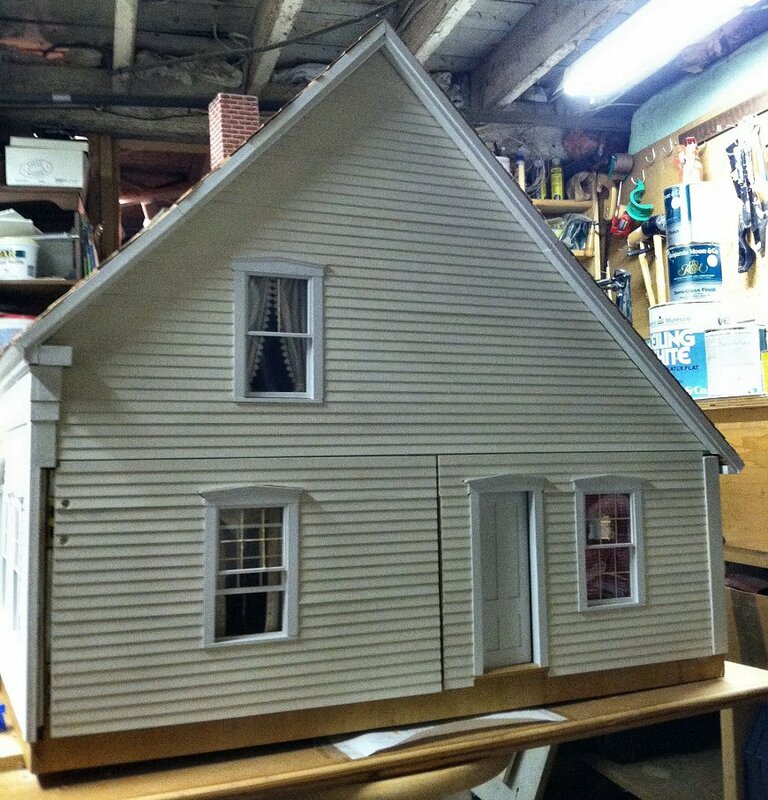 The scale is 1/12, or one inch to one foot, the usual dollhouse scale. The lamps are electric, run on a miniature low-voltage system. They plug into wall fixtures. All the doors open and close, as well as the scale sash windows. 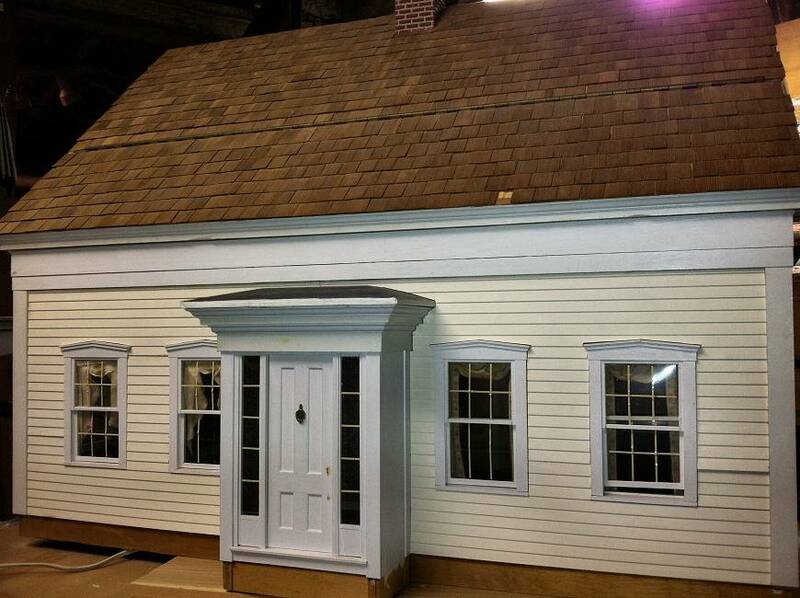 Front view of miniature house. Right side of miniature house. 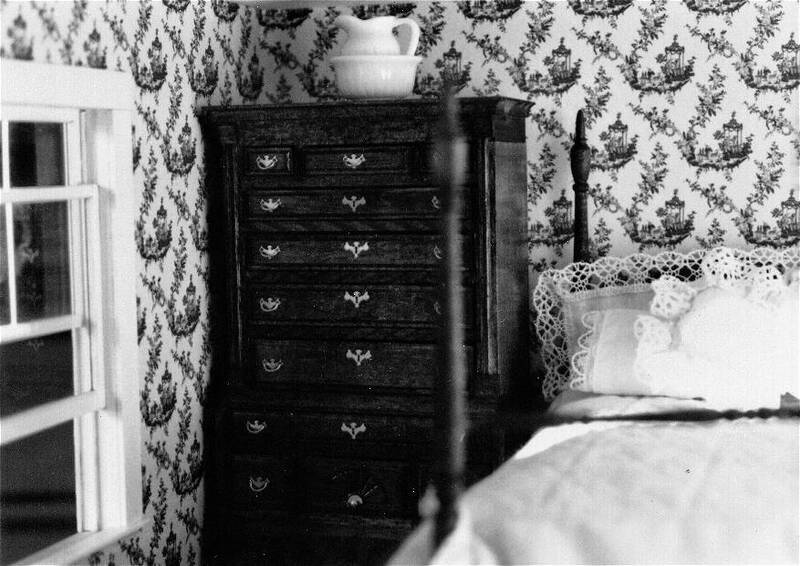 The two bottom wall panels open to view the rooms. Left side of miniature house. Scale clapboards, scale working sash windows. This side mirrors that of the original house, displaying a greater amount of architectural detail because it faced the street. 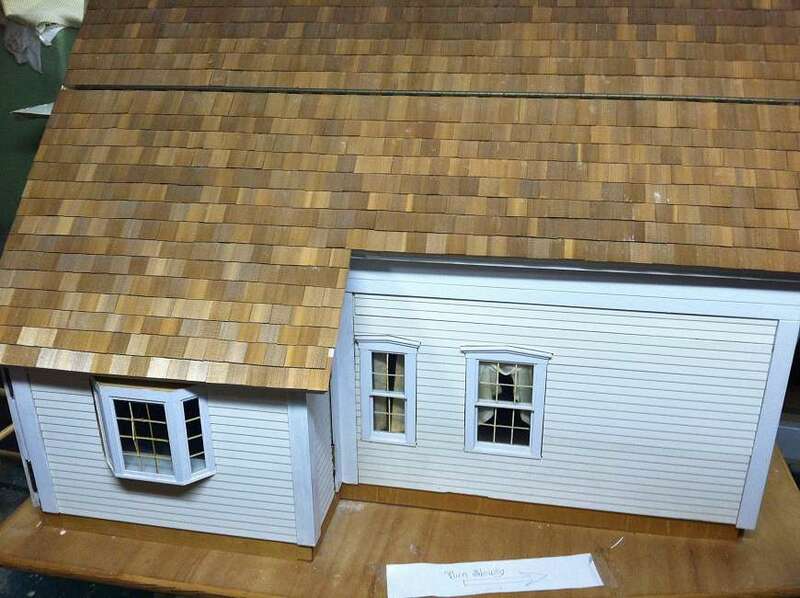 Back view of miniature house. 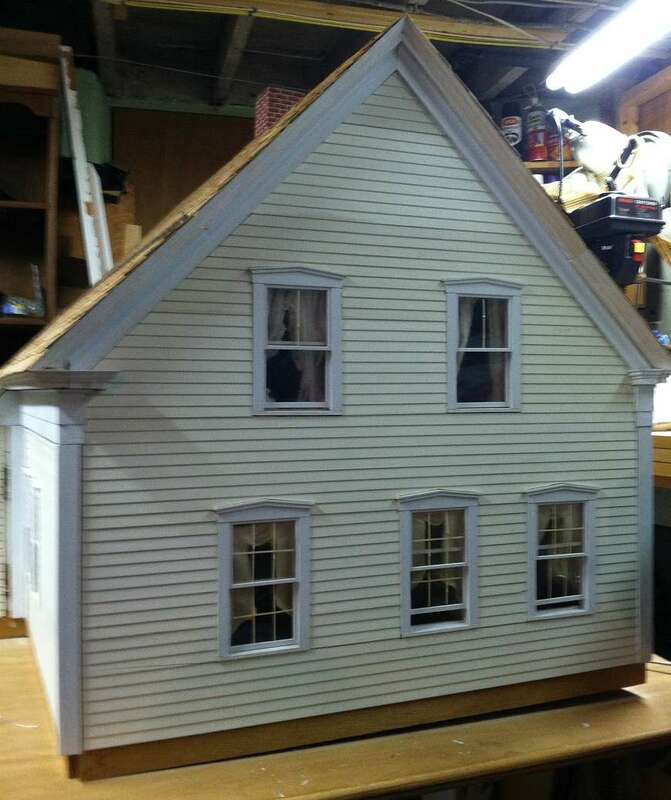 Cedar shingled roof, hinged to lift, and right bottom wall open to view interior. 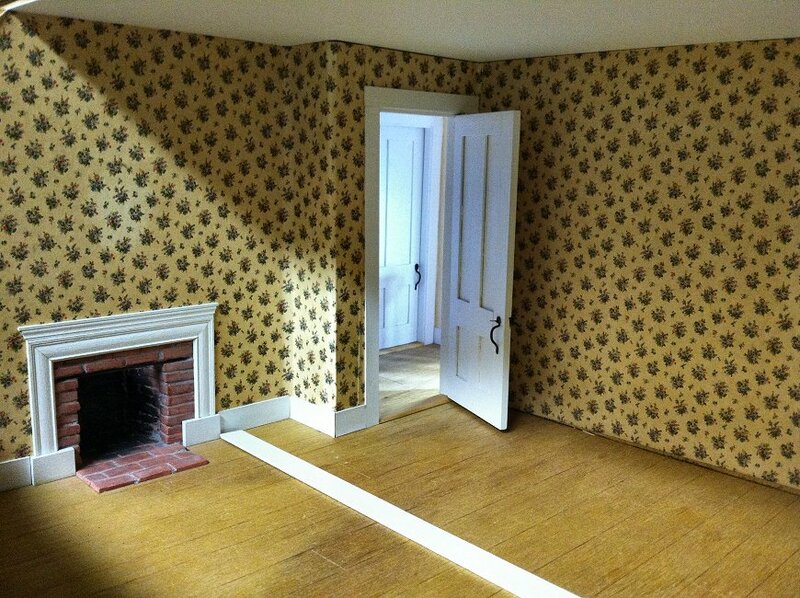 Living room of miniature house. 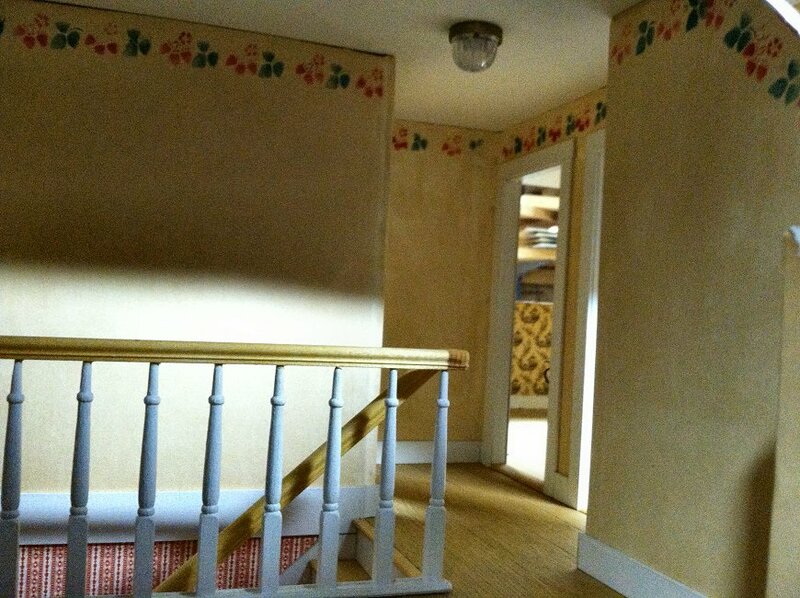 Notice the architectural details. 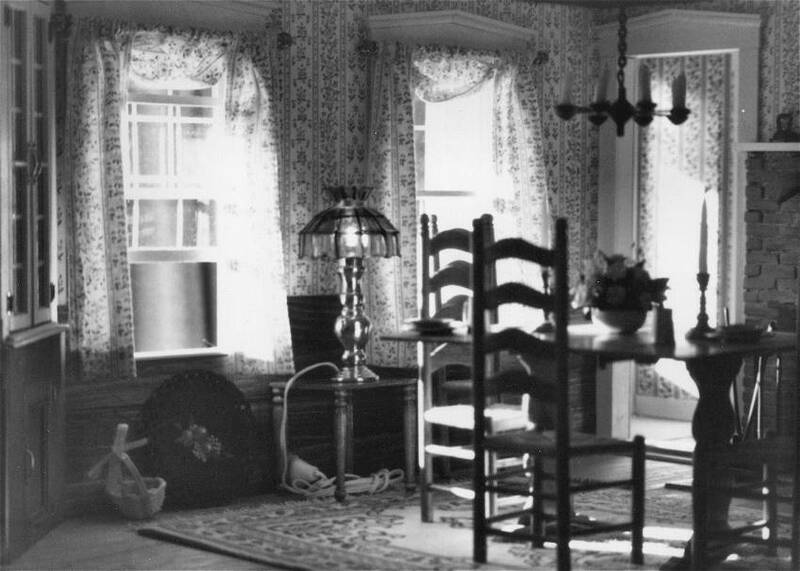 Living room in the original house. 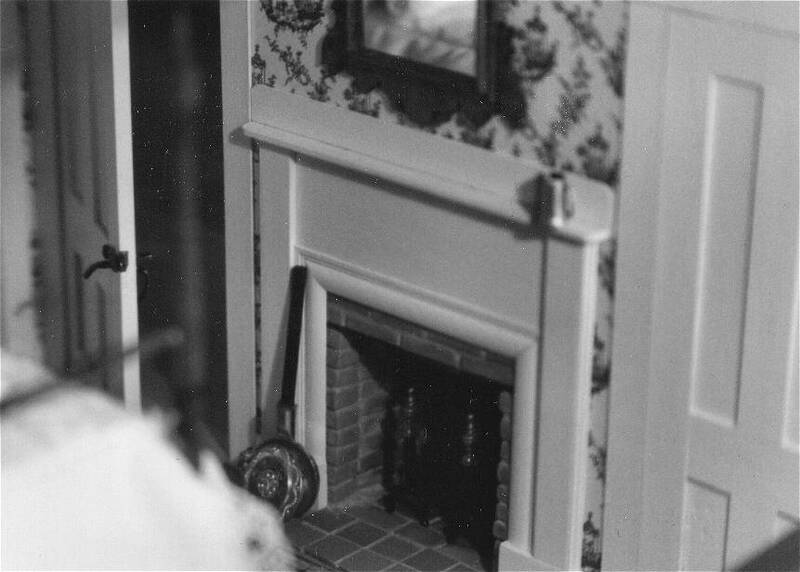 Miniature House Living room fireplace and mantle. The painting over the mantle is a miniature seascape. 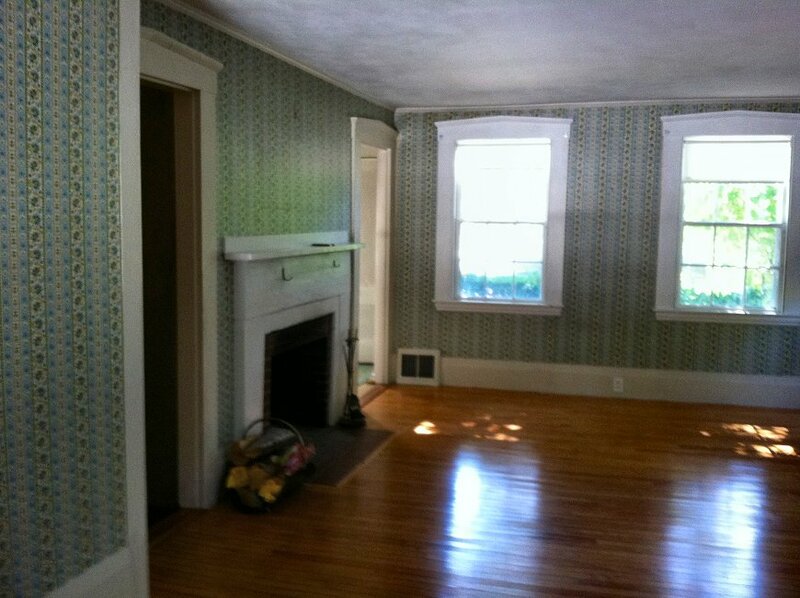 The two doorways flanking the fireplace lead into the dining room. 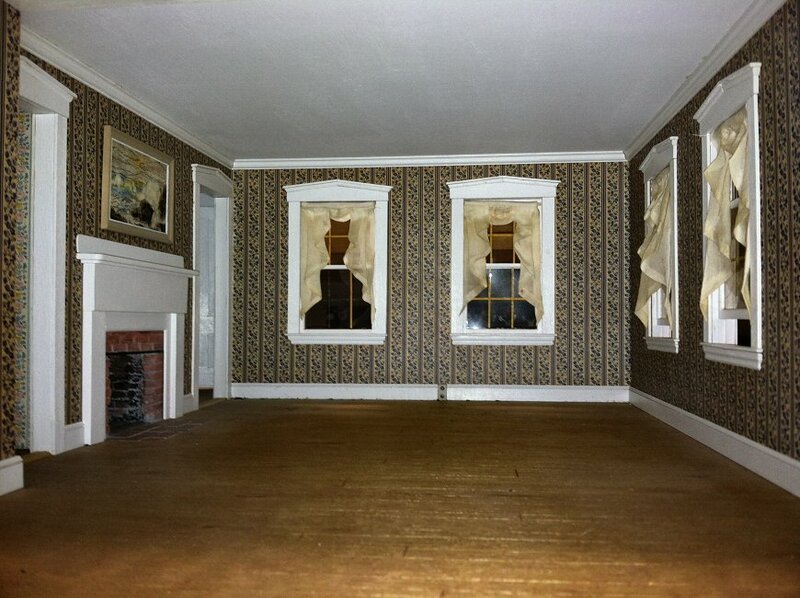 Miniature House Dining room. 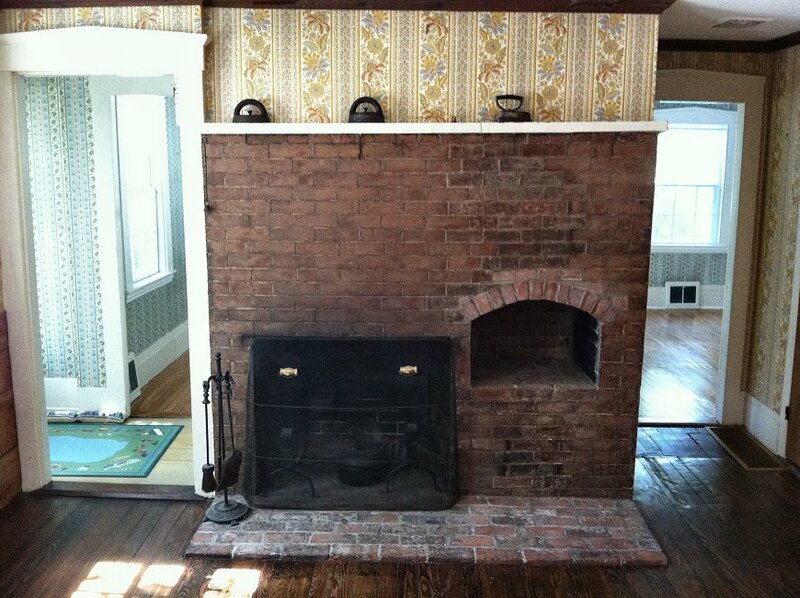 The fireplace is made up of about 360 individual bricks with mortar. 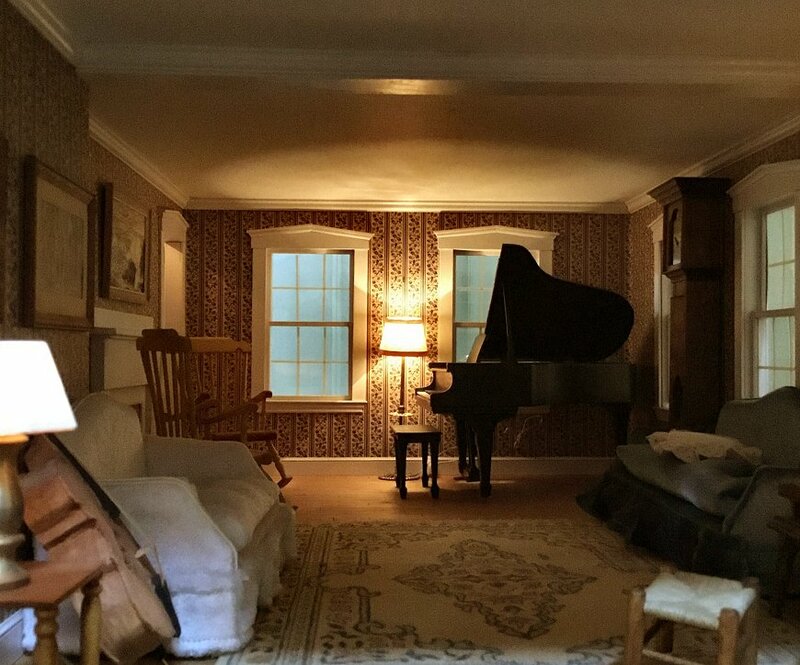 There is an iron swinging pot arm in the fireplace. 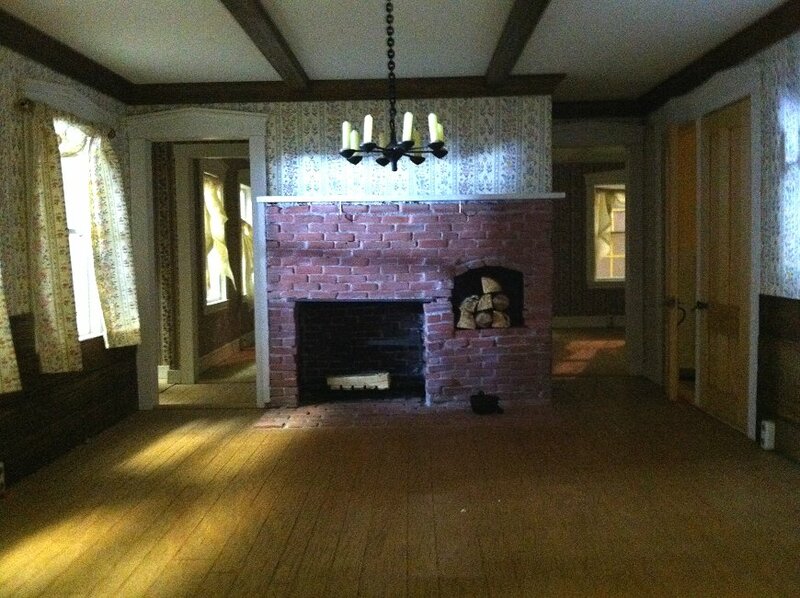 Looking through the doorways on either side of the fireplace, you can see into the living room. 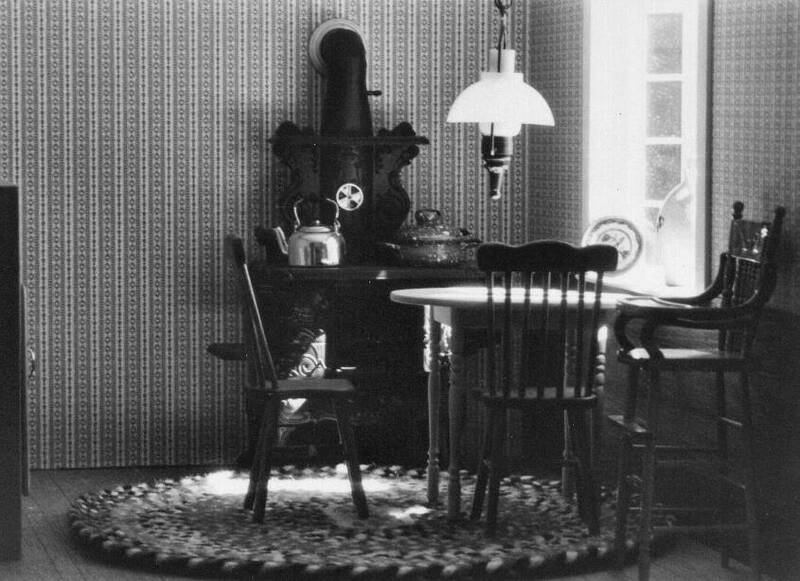 Dining room in the original house. 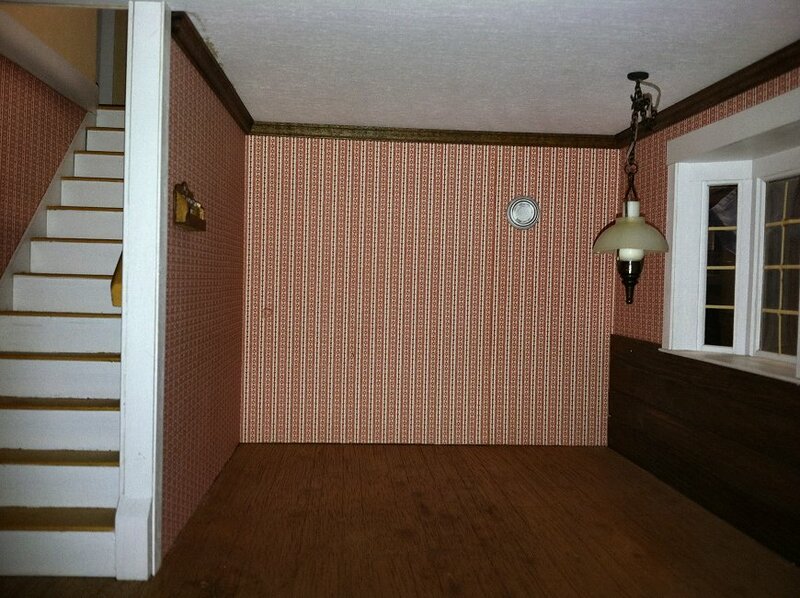 Miniature house, looking upstairs and into small pantry kitchen. Miniature house master bedroom and fireplace. Colonial mirror over mantle. 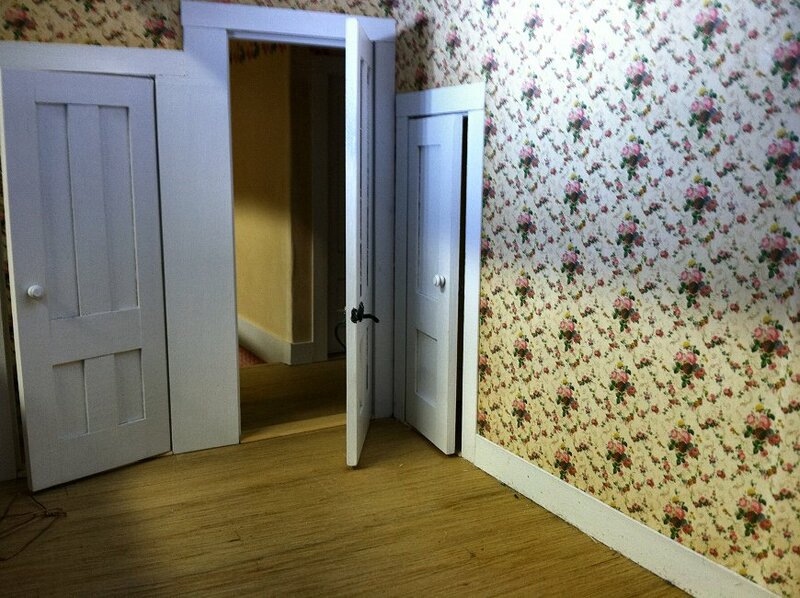 Baby's room in miniature house with small door into master bedroom far right. This was originally there to pass heat between rooms in winter. Door on left is closet. Good side view of the door handle. 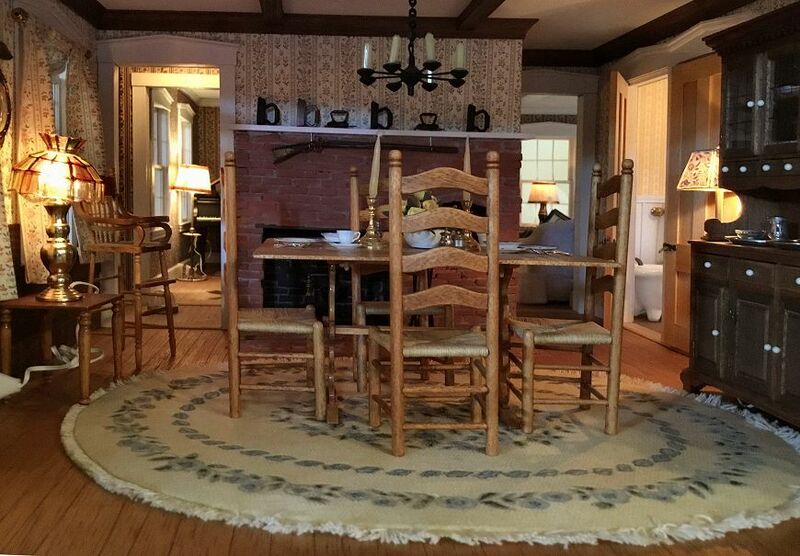 Dining room, miniature house, furnished. The fireplace is made up of about 360 individual bricks with mortar. Handcrafted scale maple drop-leaf trestle table. 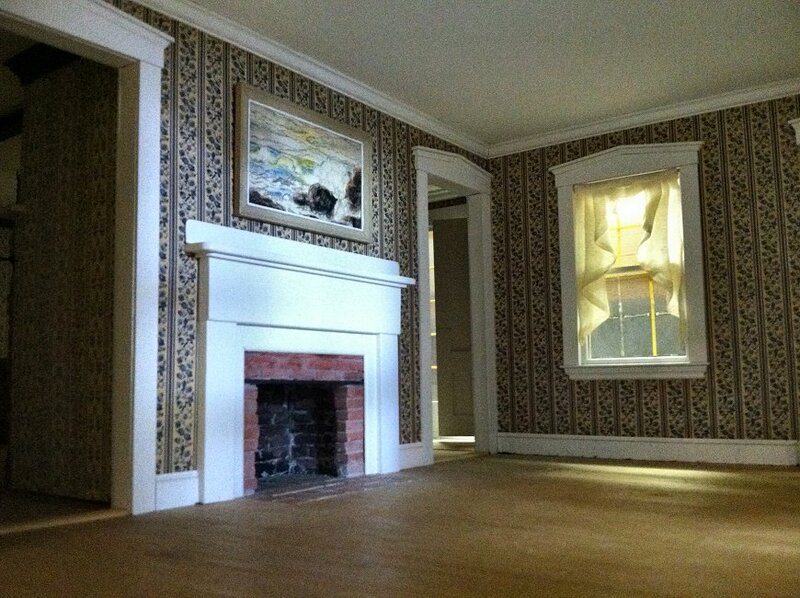 Looking through the doorways on either side of the fireplace, you can see into the living room. 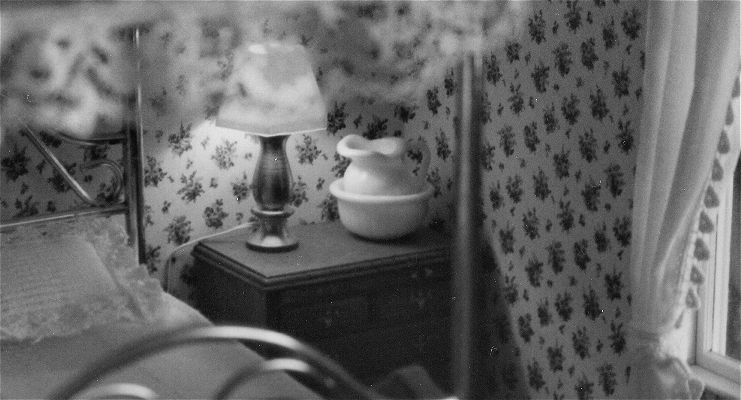 Dining room of miniature house with lamp plugged into electrical outlet. made from parts by Northeastern Scale Models. 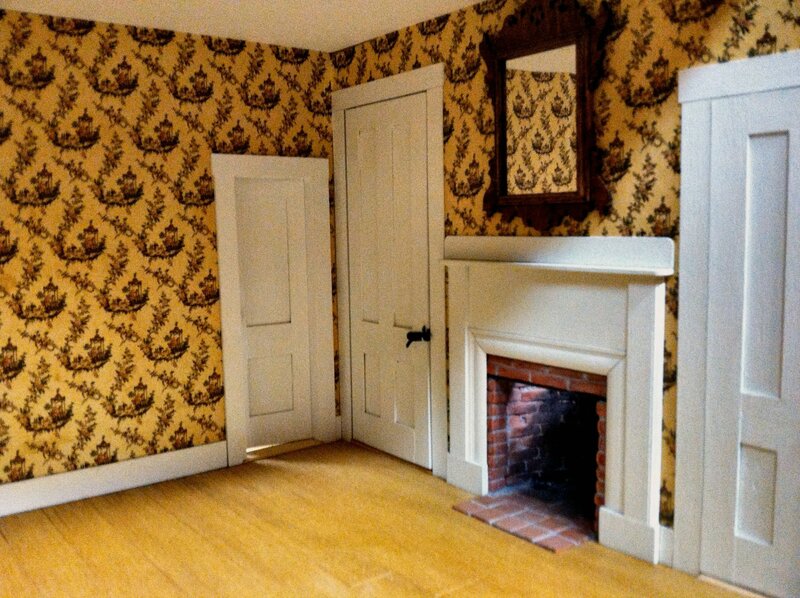 Fireplace in the bedroom. The door handle hardware was hand-pounded.